1130-10SS10pc Led Outdoor Walkover (Dia 30mm) Kit,..
9907WHAnkle Led Recessed Indoor & Outdoor Ligh..
1118-10SS10pc Led Outdoor Walkover (Dia 18mm) Kit,..
1160-10SS10pc Led Outdoor Walkover (Dia 60mm) Kit,..
9913WHLed Recessed Indoor & Outdoor Walkover C..
9915WHLed Recessed Indoor & Outdoor Walkover C..
9914WHLed Recessed Indoor & Outdoor Walkover C..
9909WHLed Recessed Indoor & Outdoor Walkover S..
2505WHLed Recessed Indoor & Outdoor - Walkover..
Endon 13768 Regis Outdoor Ground Recessed Light in..
We all know walking in the dark is horrid, constant fear you might trip over or stand in something! Well, here's the solution... walk over path lights! These are perfect and ideal to light up your pathway so you have a track to follow at all times. These are great for any type of property, large or small. 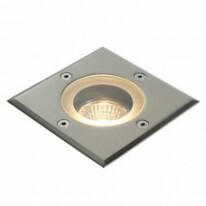 These lights will need to be fitted into your pathment and powered through the mains or by solar. The range we stock have been tested by our team for quality assurance so you guys know you are getting the best from Lumination! For anymore information on pathment lighting contact us today!